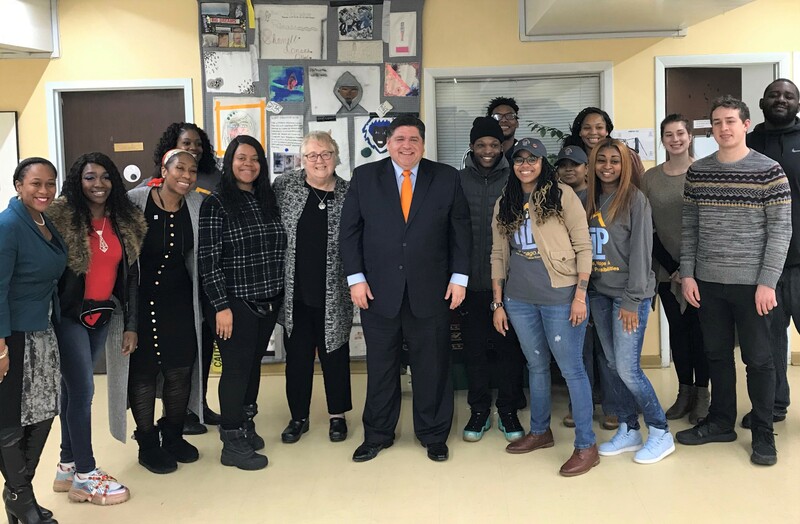 As Illinois residents huddled indoors bracing against January's bitter cold, our TLP Community was delighted to receive a visit from Governor JB Pritzker. The governor thanked TLP for extending our Drop-in Center hours while continuing to provide youth a warm, safe place with vital services during the worst of the month’s polar vortex. Governor Pritzker also took the opportunity to ask the youth what matters most to them. Resoundingly, our youth that day had one word to say to our new Governor: ﻿stability. The stability TLP provides frees them from the preoccupation with meeting their immediate needs. In turn, they can contemplate and build for their futures. For many, this translates to going to school or focusing on obtaining stable, long-term employment in fields that interest them. 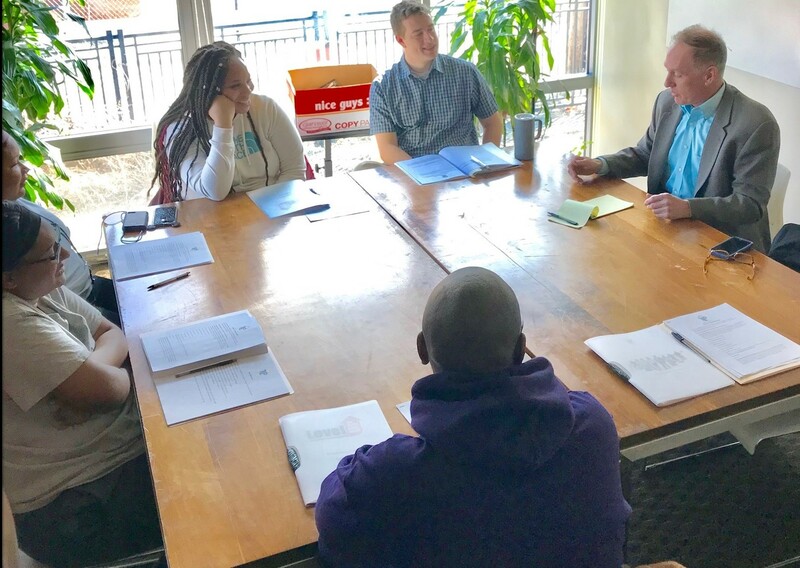 We thank the Governor for his visit and taking the time to understand what matters to the youth we serve, as well as everyone at our Drop-In Resource Center for their unwavering commitment to our youth in difficult conditions. 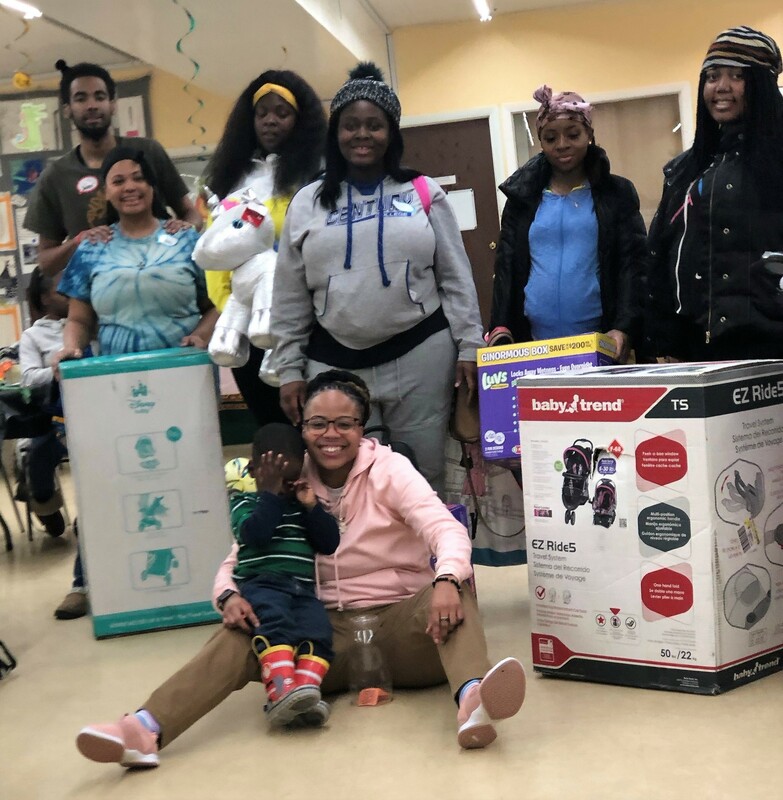 To support pregnant and parenting youth at our Drop-In Resource Center, TLP hosted a parenting resource event in February featuring presentations from community agencies, fun games, special meals and snacks, and bundles of supplies—diapers, formula, toys, and educational materials—for everyone’s bundles of joy! Our heartfelt thanks goes out to the following generous in-kind donors and volunteers for their support: Zeta Phi Beta Sorority TAZ Chapter, Educare Chicago, YWCA Metro Chicago, Gads Hill Center, Firman Community Services, and WIC operated by Catholic Charities for providing information and resources. In our fall issue we were proud to introduce Next Gen Housing, our newest three-year residential program that launched in November. When completely online in April, 10 youth participants will share 5 apartments and each contribute towards their rent, utilities, and transportation costs so that by the third year of the program youth will assume responsibility for all expenses. All 5 youth currently enrolled are taking advantage of employment and career readiness programs while simultaneously developing marketable skills that will help them earn a living wage within a career path. It's a joy to see these youth engage in services to improve their education and career prospects while getting back to the business of being young adults. We look forward to seeing these motivated youth continue to build futures with promise! Youth are carrying these lessons with them into internships within TLP's Employment Partners at the Seminary Co-Op Bookstore, Bronzeville Classical School for school counseling/psychology, Rocket Studios for film production, North Kenwood Day Care for primary childcare, and our own Drop-In Resource Center for peer mentoring. We're happy to report our efforts are paying off. Beyond building skill sets and resumes, our youth have begun securing stable, long-term employment! 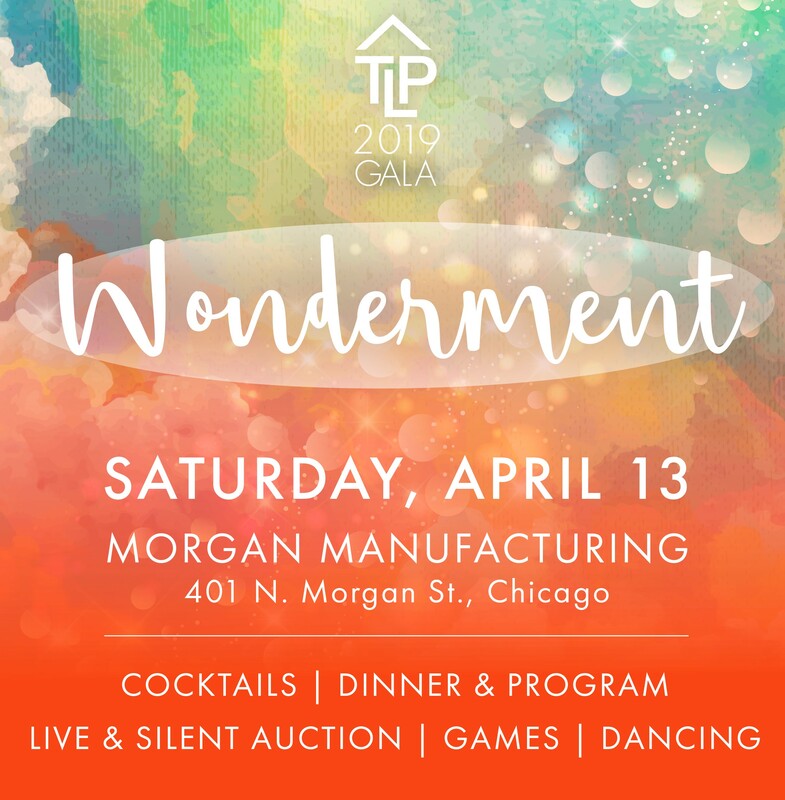 Volunteer with us to share your time, talent, and make meaningful connections with the youth we serve or consider an in-kind donation to supply our youth with the everyday items they need to live.